Stoeger is known for their great shotguns (<–like this one). One thing they don't do much of, are pistols. 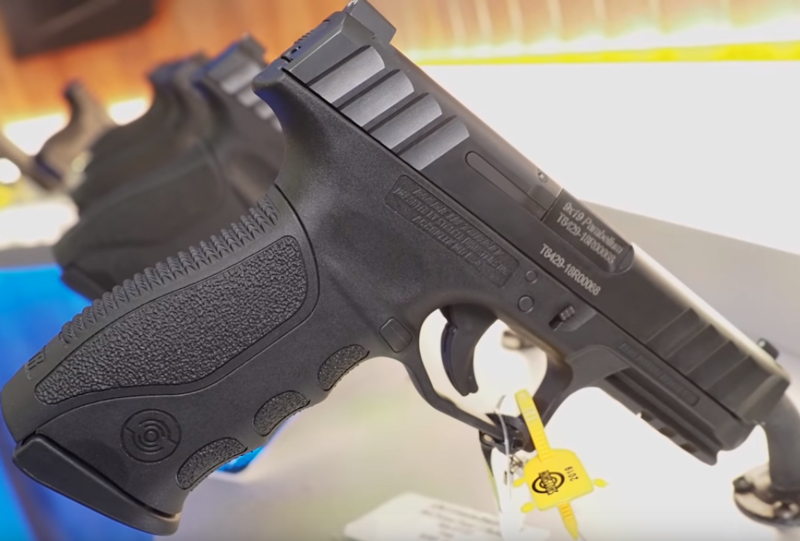 All that changed at SHOT Show 2019 with the introduction of their STR-9, striker fired 9mm pistol. The new Stoeger STR-9 pistol looks to be a very affordable 9mm handgun with some great options. For example, this is a 15+1 capacity 9mm, with an MSRP at only $329. Some of the things I think are promising based on what I've seen so far, are the over sized slide serrations on both the front and rear, which allow for a more positive grip whenever that manipulation is necessary, a grip that feels great in hand, and the simple fact that this pistol will likely be found in the sub $300 range. And, while I didn't get a chance to feel the trigger while out at SHOT Show 2019, it does sound promising. According to their website, the interview isn't 100% accurate in all aspects. The $329 model is the base and comes with one magazine and one back strap, not three as it seems in the video. Going up from there is the middle option that gives you three magazines and three back straps at an MSRP of $389. The final model adds Tritium night sights to the mix to bring the MSRP up to $449. You can find all of this information out on their website, here.